" To date this is the best Mask that I have used. 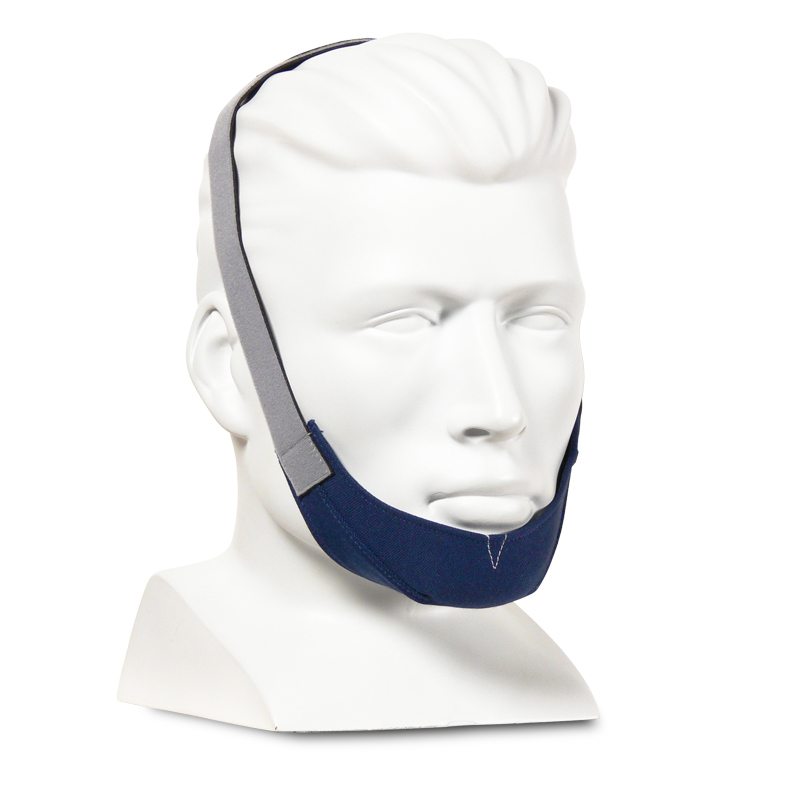 The fit is great and it does not pinch anywhere or leave marks on my face. I highly recommend it. " " I have tried a large number of different masks, and this is th best one yet. " 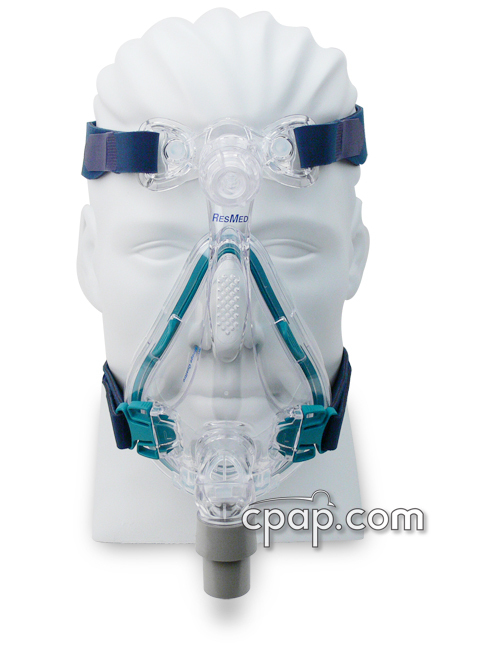 ResMed's Quattro™ Air Full Face Mask with Headgear is the next evolution in their popular Quattro mask line. The minimal design makes it 45% lighter than the very popular Mirage Quattro. 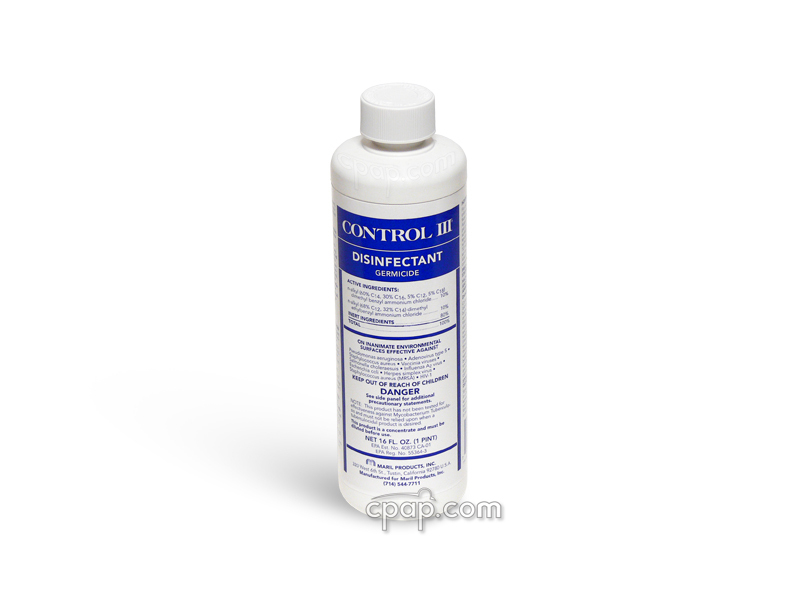 With only four parts it is easy to maintain and clean. 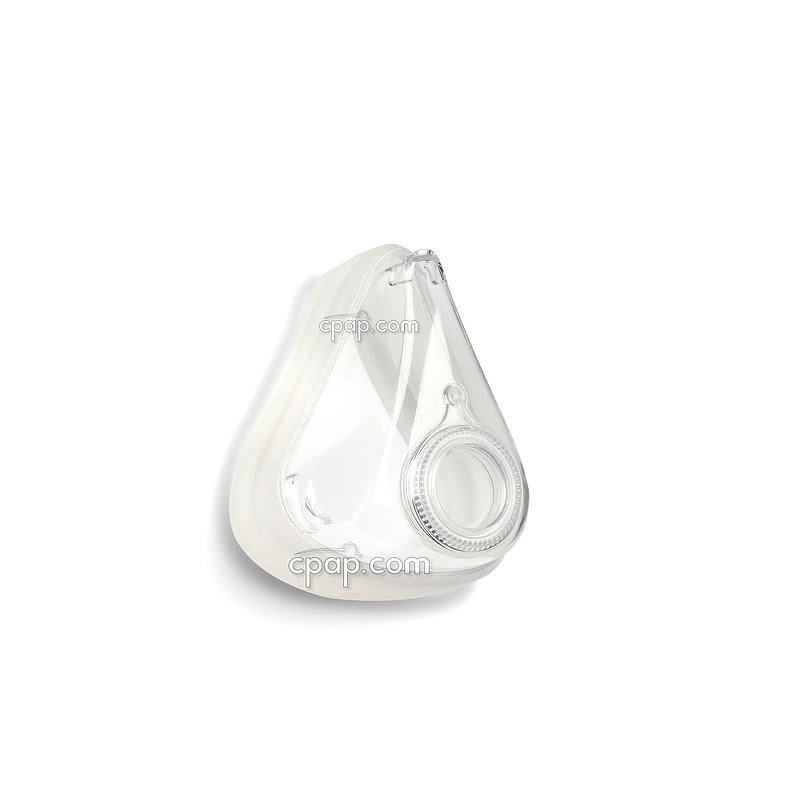 The advanced design of the Spring Air™ cushion aims to create a secure seal with more comfort at the bridge of the nose. Together, the lightweight frame and cushion mean a more comfortable therapy experience. 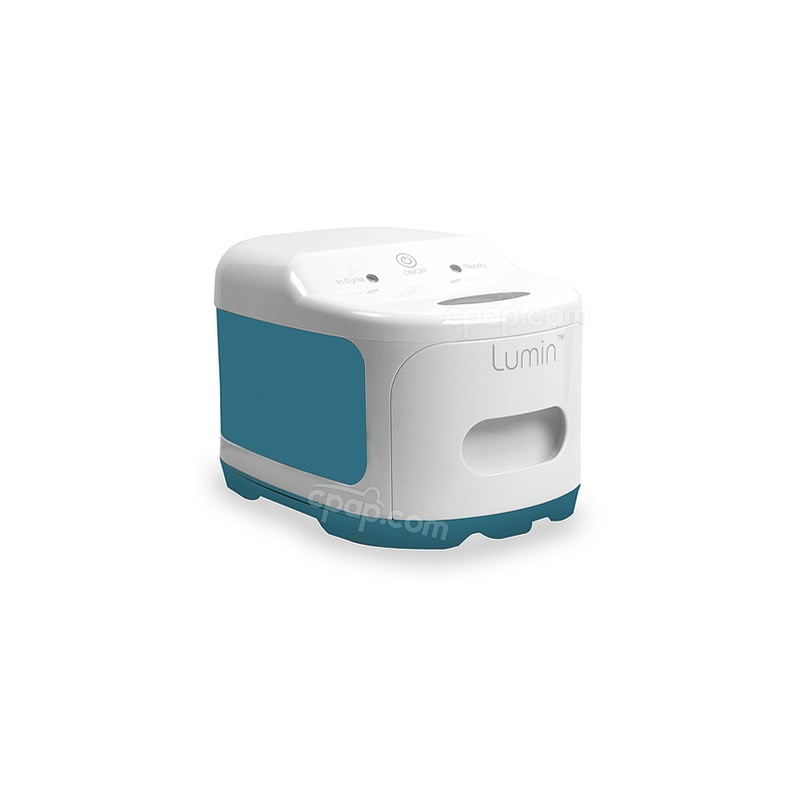 2% of Full Face Mask product buyers choose this product. 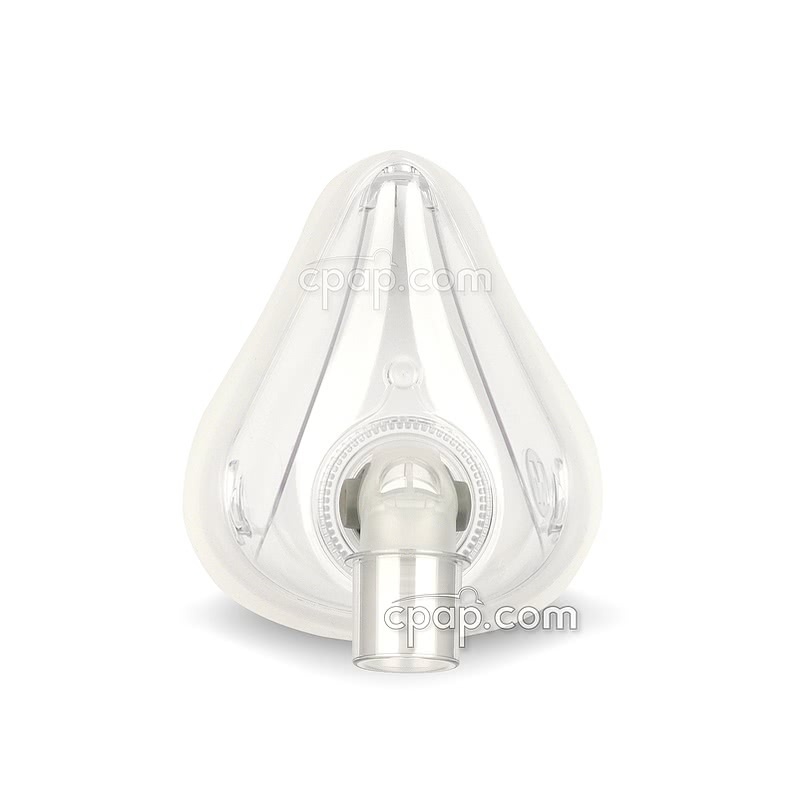 Machine Mask Setting: "Full Face" or "Mir Full"
Sizing Quattro Air: ResMed recommends the following for sizing. 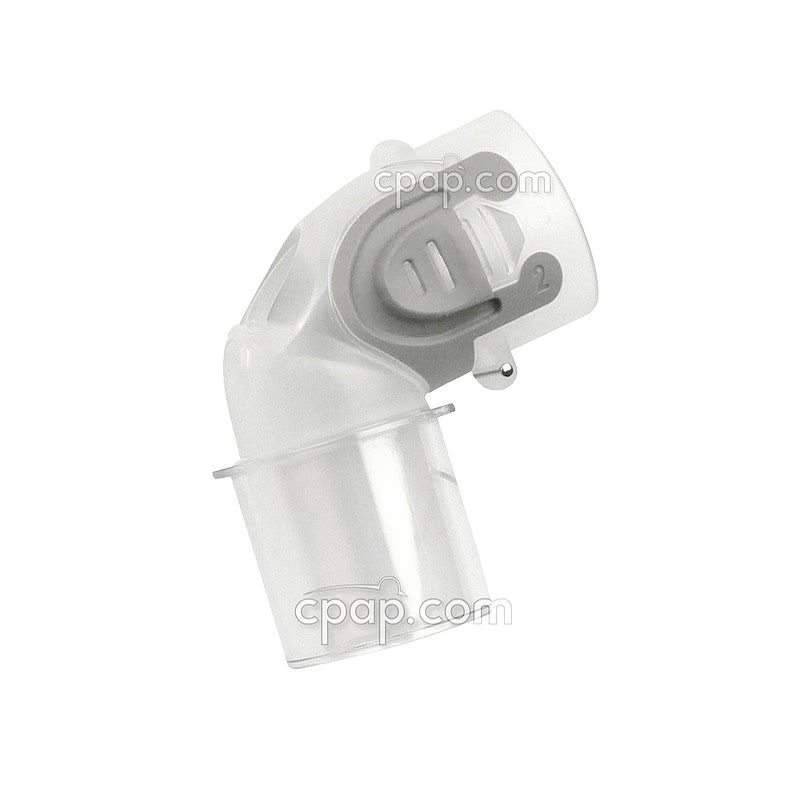 Quattro Air & Quattro Sizing Gauge. 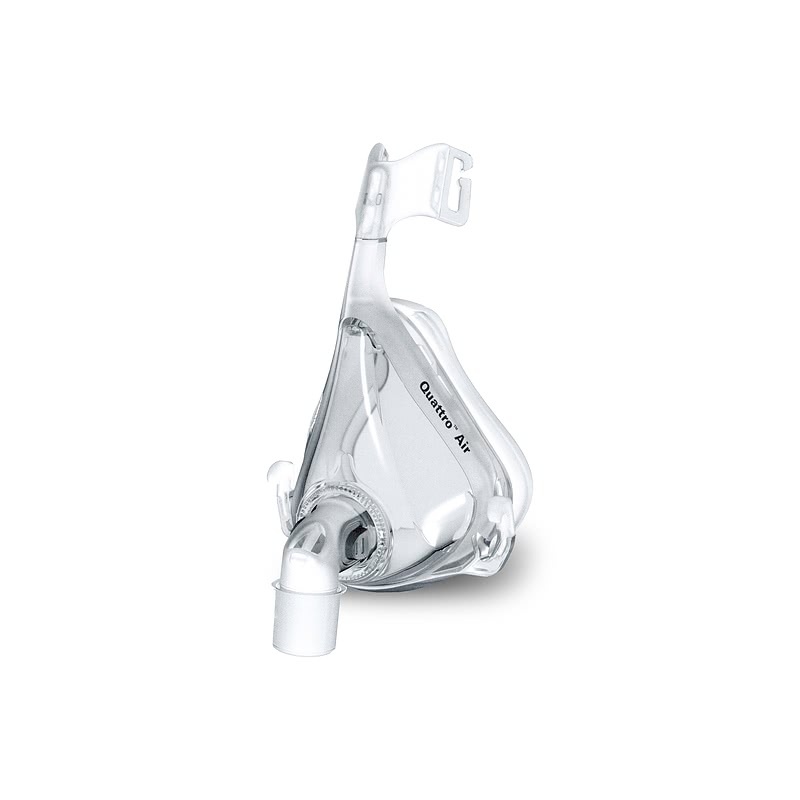 The Quattro Air is the same size as the original Quattro Full Face Mask. A size Medium Quattro equates to a size Medium Quattro Air. 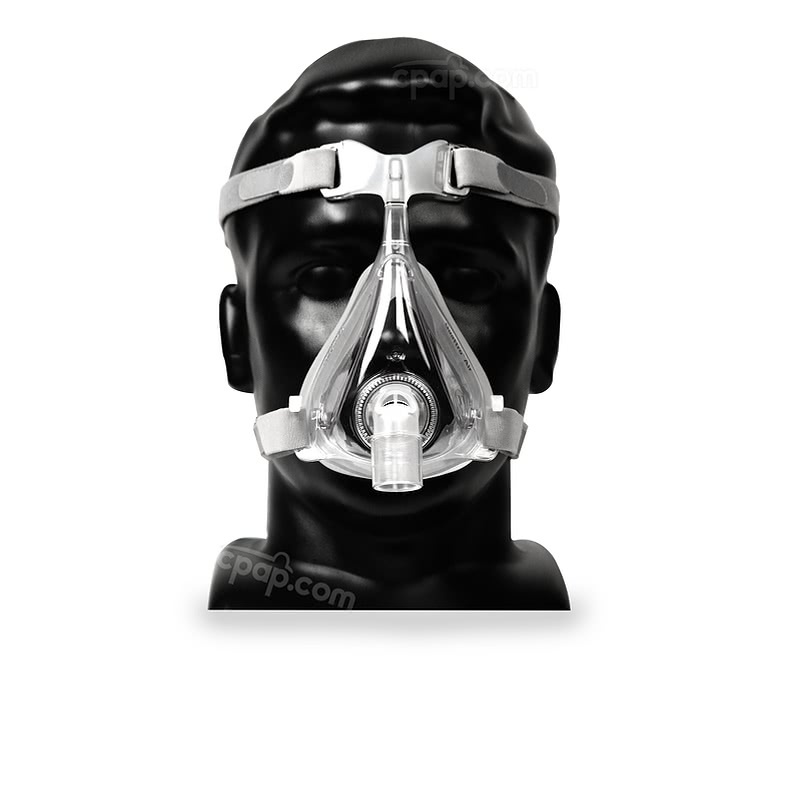 When comparing the Quattro Air to the Quattro FX Full Face Mask, step up a size. 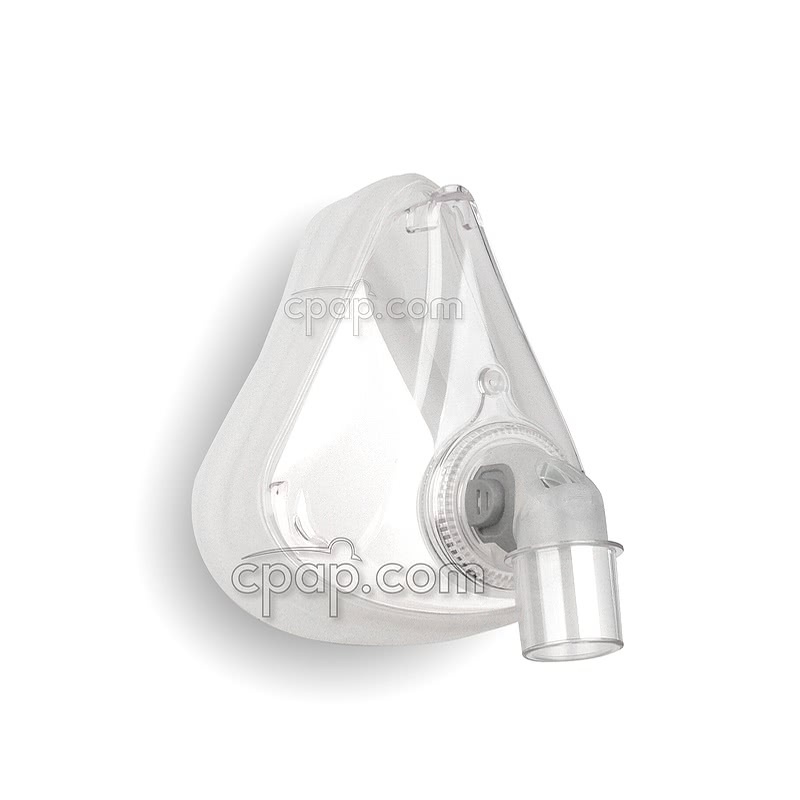 For example, if a Small Quattro FX is used successfully, step up to a size Medium in the Quattro Air. 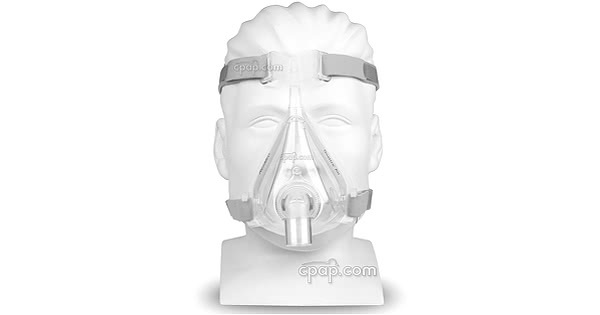 Care & Cleaning: ResMed recommends disassembling and washing the mask daily. 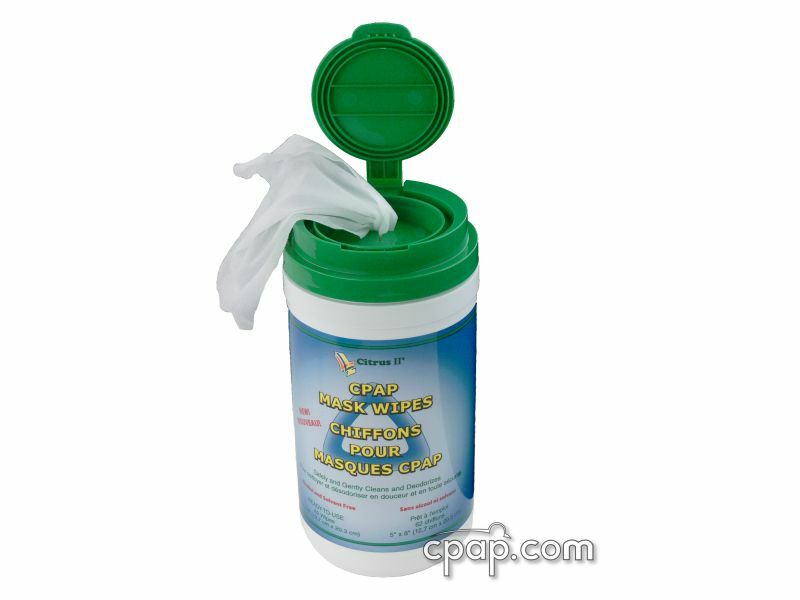 Headgear should be hand washed using a mild household detergent once a week and laid flat to dry. Do not put the headgear in the dryer. 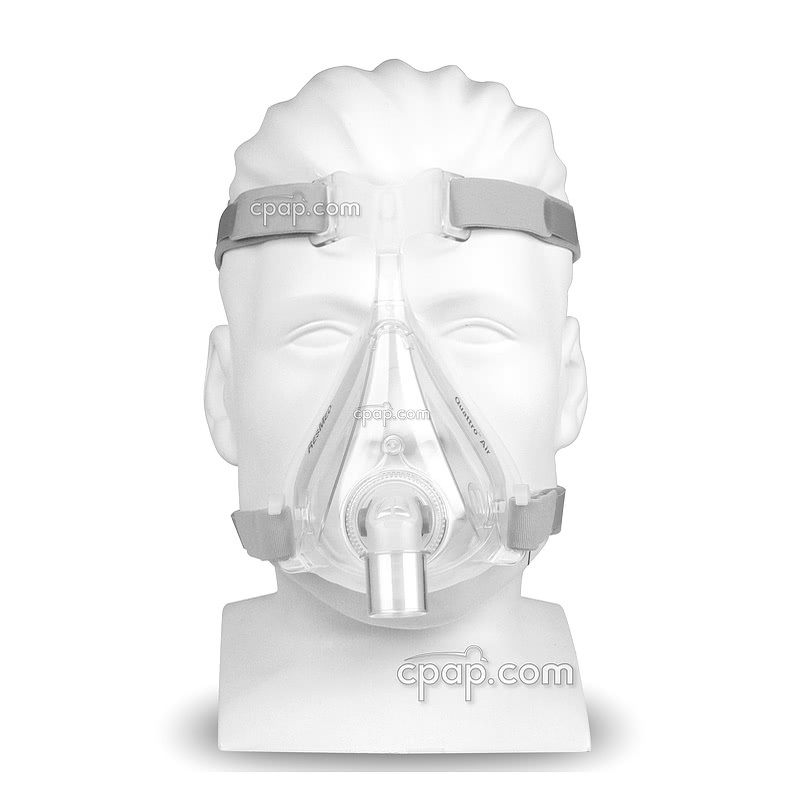 Fitting: ResMed recommends the following steps for fitting the Quattro Air. 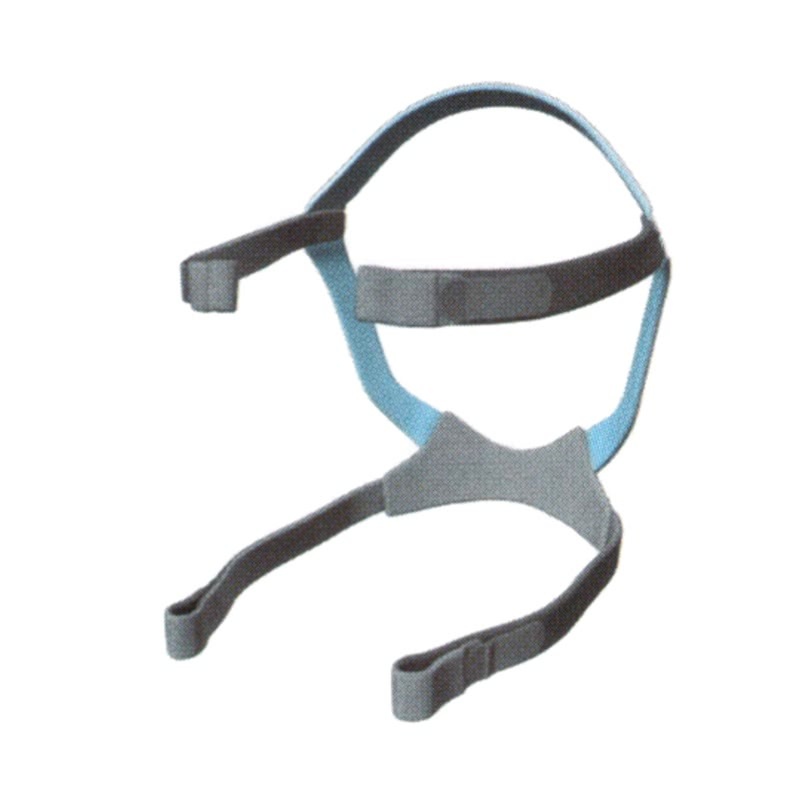 Attach the headgear to the upper headgear hooks at the forehead support. Make a loop for each side of the lower headgear strap by attaching the Velcro closure to the strap. 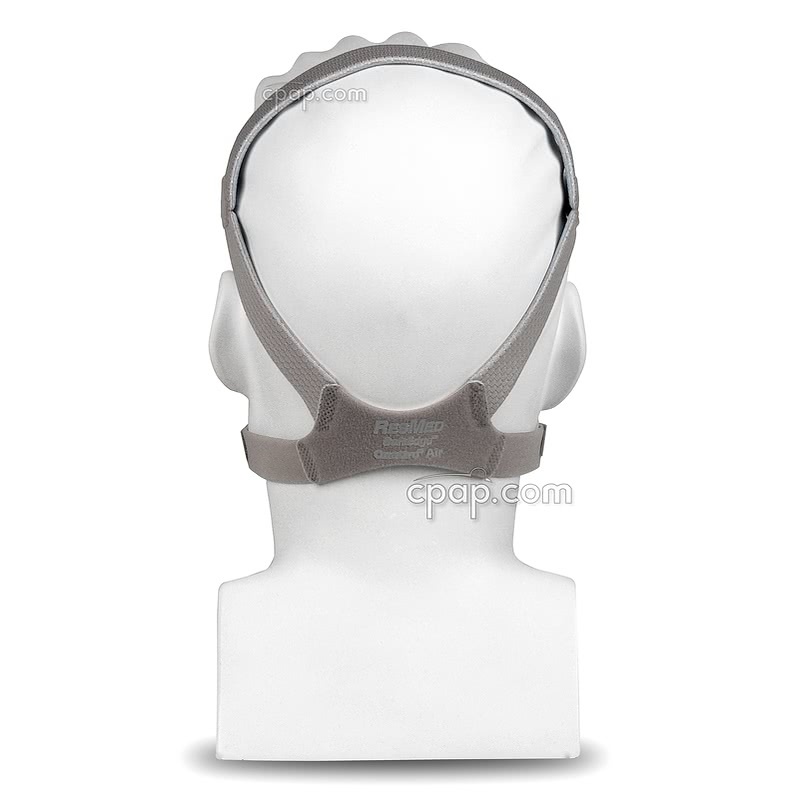 Place the Flex-wing forehead support on the forehead, swing the headgear over the back of the head. 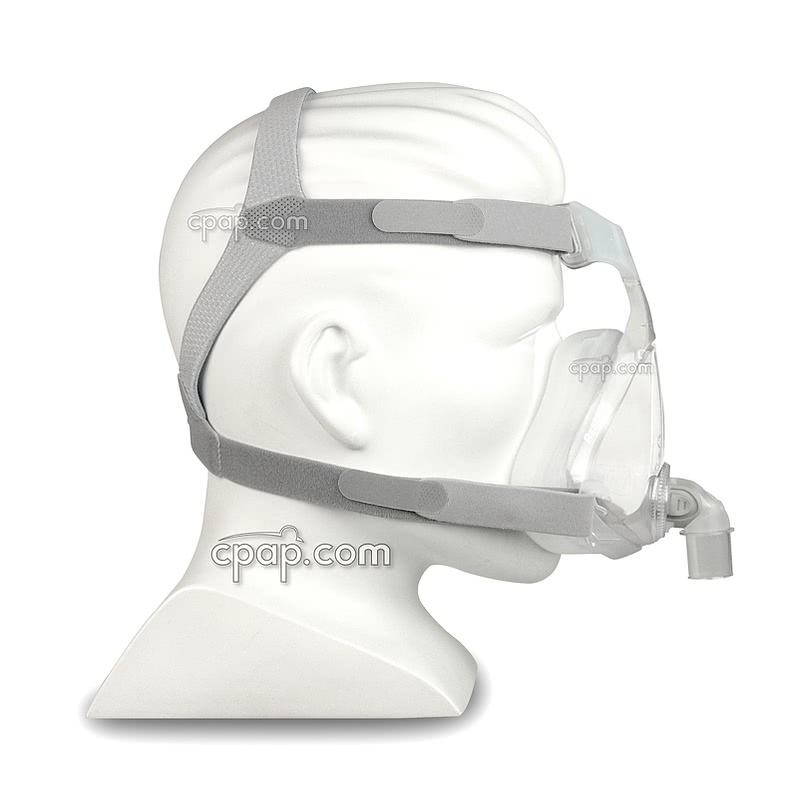 Adjust the upper headgear straps enough to hold the mask in place. 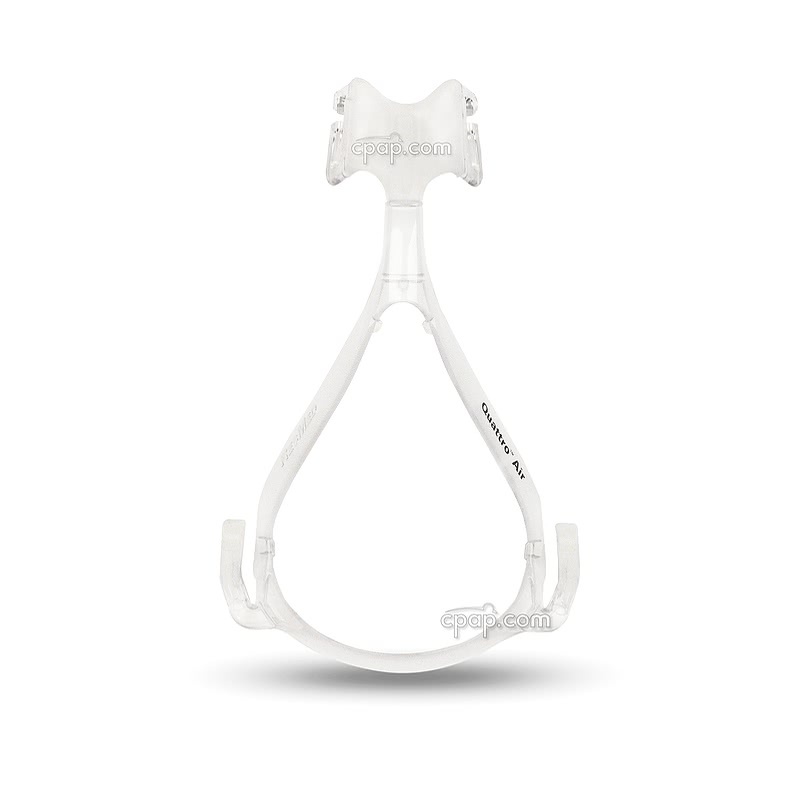 Hook the lower headgear straps over the lower headgear hooks located at the bottom sides of the frame. 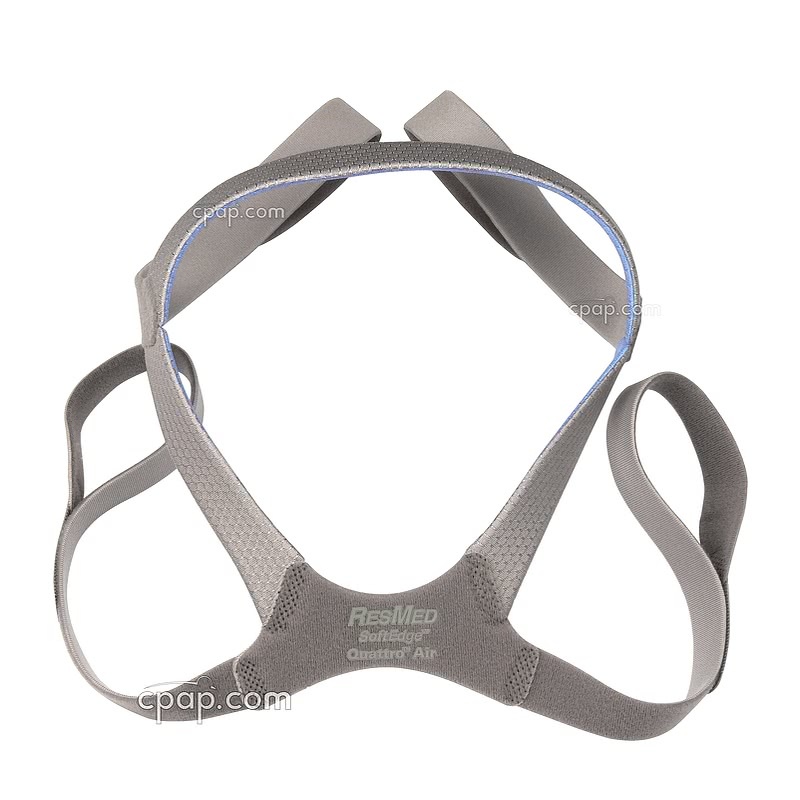 Loosely adjust the tension at the lower and upper headgear straps. Reattach the elbow to the mask and attach the long hose from the machine to the elbow. Lay down, and with the air from the machine flowing, fine tune the strap tension adjustments. 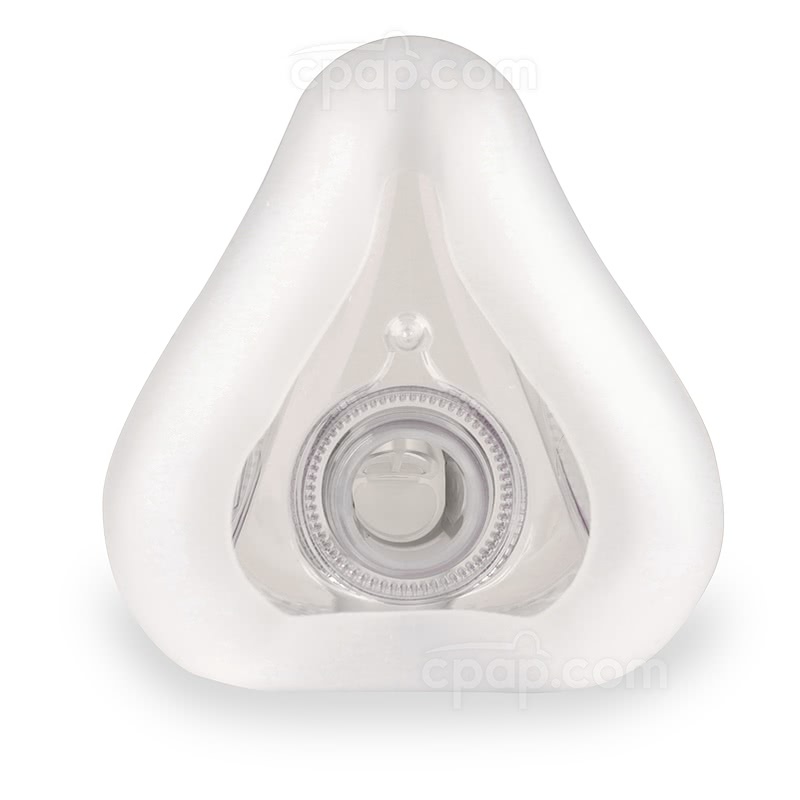 Quattro Air & Supplemental Oxygen Use: The Quattro Air does not have a supplemental oxygen port. 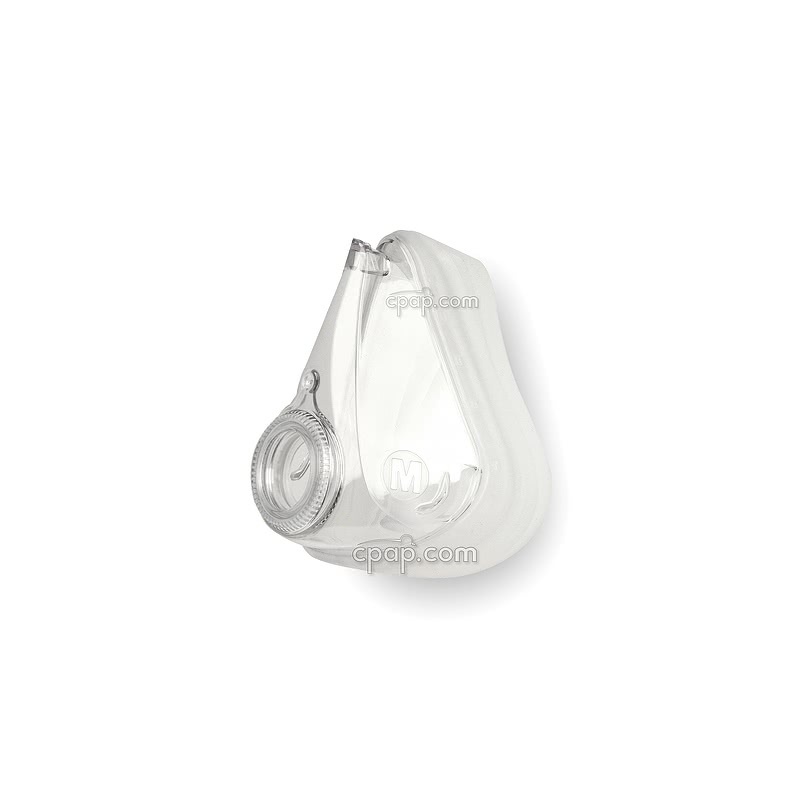 If supplemental oxygen is needed consider the Oxygen Enrichment Adapter as an option. 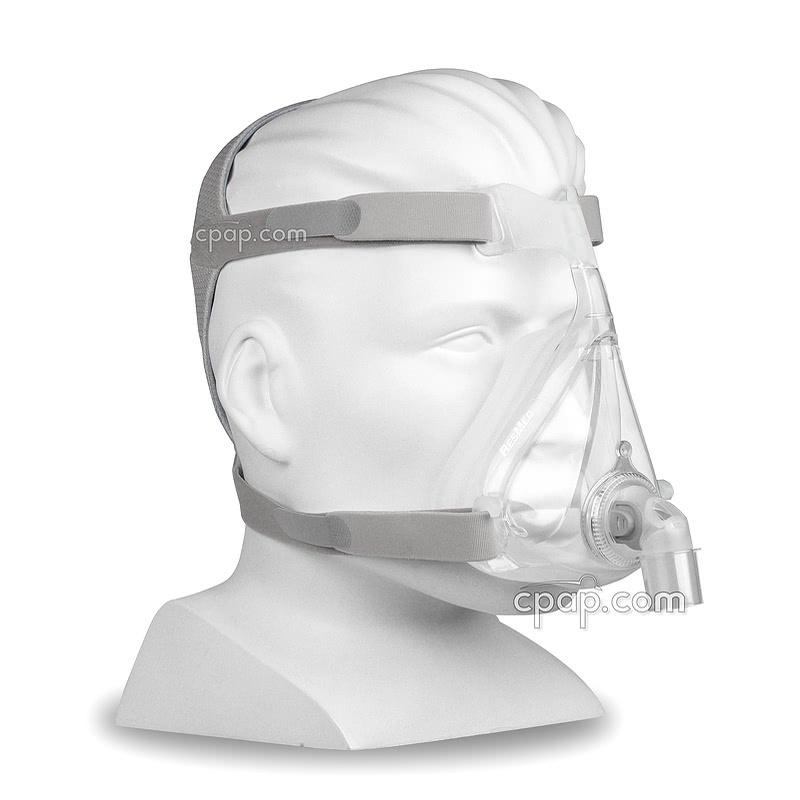 The size of the mask frame is directly proportionate to the size of the cushion. 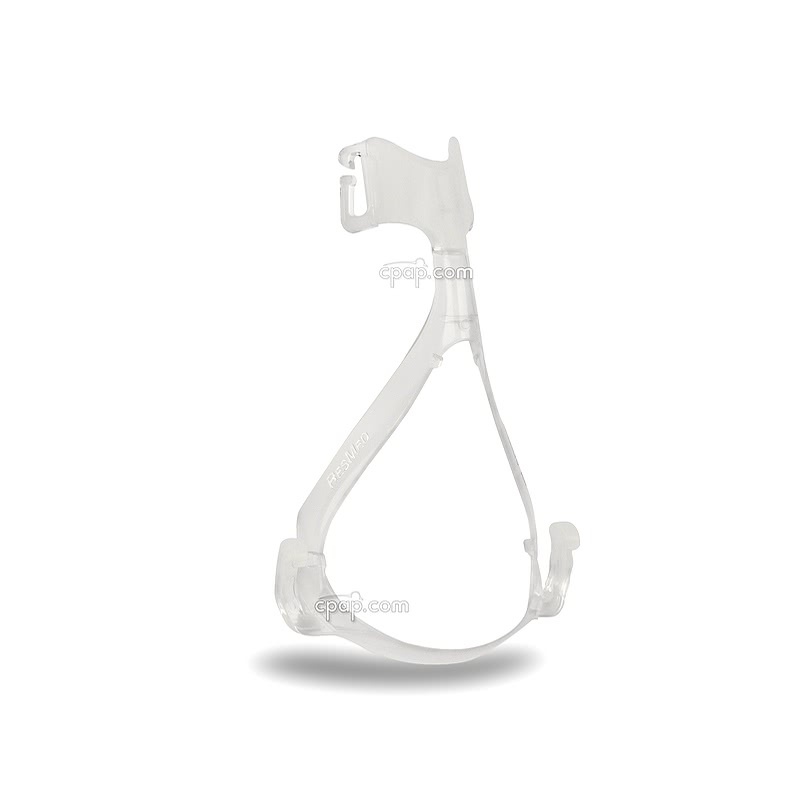 The size of the mask frame is not identifiable, except by applying the cushion size to the corresponding frame. To properly function, the Quattro™ Air frame and cushion must be the same size. The frame and cushion sizes cannot be mixed and matched. 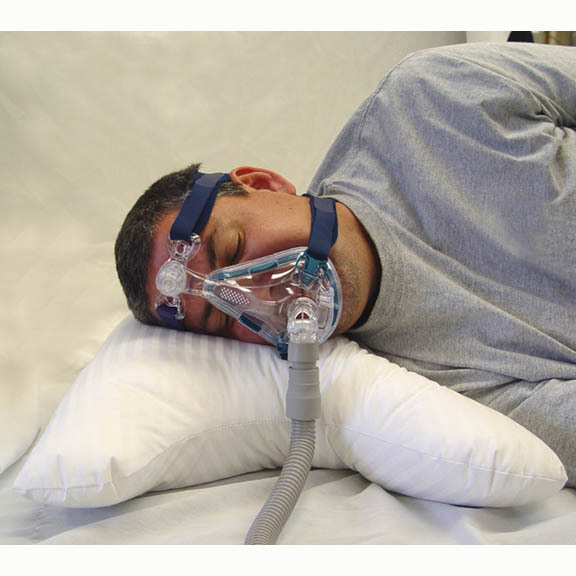 To find the size of the full face cushion, turn the mask so that the elbow is facing the user. Look to the lower right side of the full face cushion to locate a large embossed letter within a circle. The letter will indicate the size the full face cushion.